The main interest of the laboratory is to pursue the research on non-embryonic developmental pathways, analyzing the whole body regeneration (WBR) and the asexual development (blastogenesis) in the chordate model Botryllus schlosseri (Tunicata, ascidiacea). The long term aim is to understand the dynamic of the cells responsible of the two regenerative events, i.e. putative pluripotent stem cells and blastogenetic epithelia, in relation to the cito-architecture of the surrounding environment, in particular measuring and modelling haemodinamic parameters and patterns of angiogenesis. We couple live imaging, microscopy, transcriptomic approaches, classical molecular biology techniques (ISH, IHC), transplantation and functional assays (siRNA) to try to define: (1) the source of the regenerative plasticity that characterizes the onset of WBR and blastogenesis; (2) the source of positional information and body re-patterning in a non-embryonic developmental scenario, and compare it with the canonical embryogenesis; (3) the relationship between pluripotency and tumorogenesis observed during the WBR. Lauzon RJ, Brown C, Kerr L, Tiozzo S. Phagocyte dynamics in a highly regenerative urochordate: insights into development and host defense. Dev Biol. 2013 Feb 15;374(2):357-73. Tiozzo S, Brown FD, De Tomaso AW. 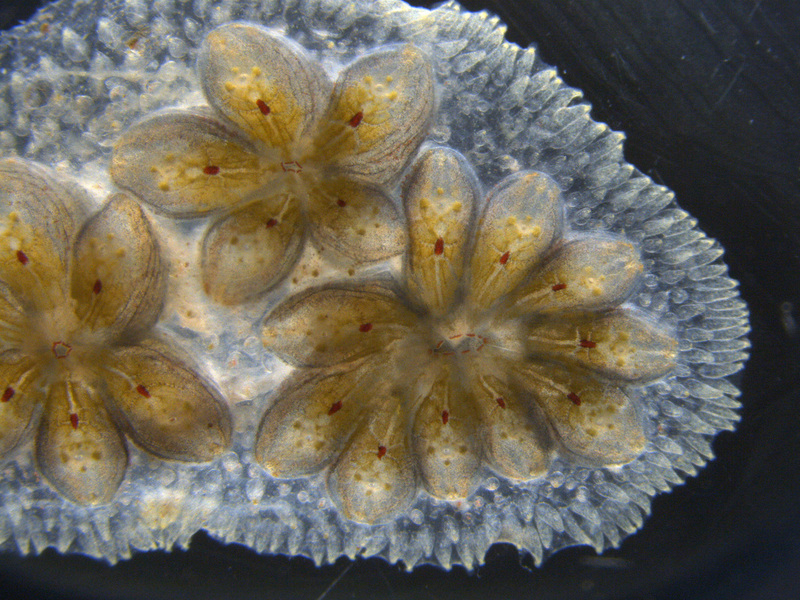 Regeneration and Stem Cell in Ascidians. In “Stem Cells: From Hydra to Man”. 2008. Springer eds. Voskoboynik A, Simon-Blecher N, Soen Y, Rinkevich B, De Tomaso AW, Ishizuka KJ, Weissman IL. Striving for normality: whole body regeneration through a series of abnormal generations. FASEB J. 2007 May;21(7):1335-44.